You can read all the travel books you want, but none of them can adequately prepare you to experience a city the same way that the locals do. 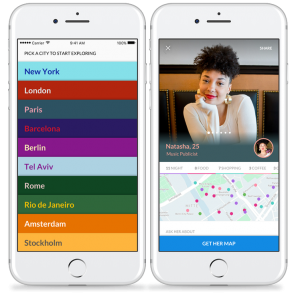 A new travel app called “Cool Cousin” hopes to change this by introducing you to hip restaurants, shops, and galleries that you would have never discovered on your own – almost as if a trendy cousin were giving you a tour of their far-off city. The app’s savvy locals create “personal, map-based guides” to cities and neighborhoods that give users in-depth insight into secret spots little-known to tourists. You can also filter the app by age in order to find the perfect activities for your age group.